I visited this food centre for quite a few times during the past few weeks and i took notice of the long queue at this stall when is near or during lunch. Most of these customers seemed to be the office workers in those high-rise buildings nearby. It got me to wonder what actually made these customers join the queue? 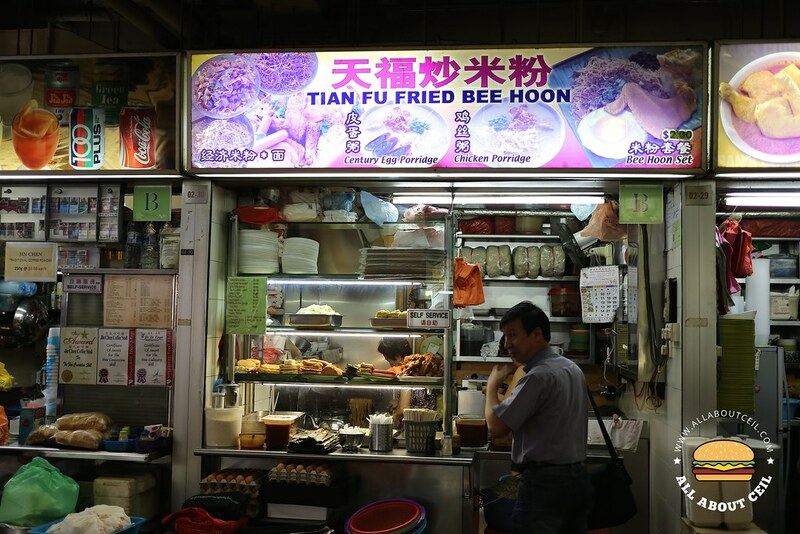 This seems to be the only stall in this food centre that is serving economic fried bee hoon, kway teow and mee, this might also be one of the reasons contributing to the constant queue. They serve it with common side dishes like like fish cake, ngor hiang, luncheon meat, otak, taiwanese sausage and fried chicken wing. I was there slightly after 10 am and there was just another customer in front of me. He ordered a plate of fried bee hoon with fried chicken wing together and other sides. I did not want to order the fried chicken wing initially but changed my mind as i expected it to be good. 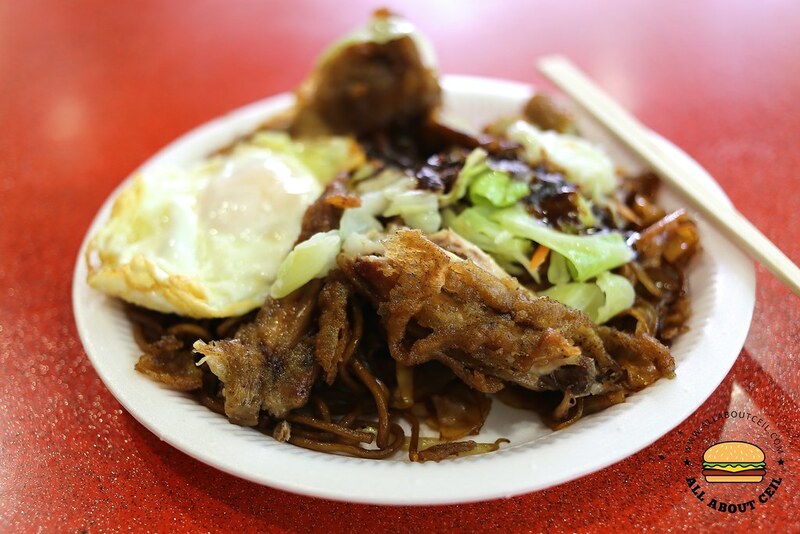 When it was my turn to order, i went for the combination of fried kway teow and fried mee with a fried chicken wing, a fried egg and ngor hiang, the auntie added in some cabbage too. All these for just $3.10. 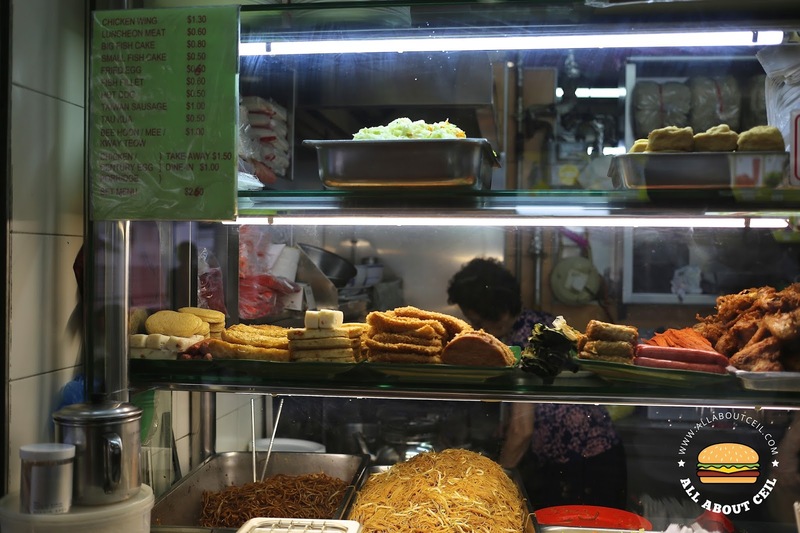 I would think it is reasonably cheap particularly in a food centre at Central Business District (CBD) area. The fried chicken wing is $1.30, the fried egg is 0.60 cents, ngor hiang is 0.50 cents, the fried kway teow and fried mee is $1.00, it is all listed on the price list displayed at the front of their stall. 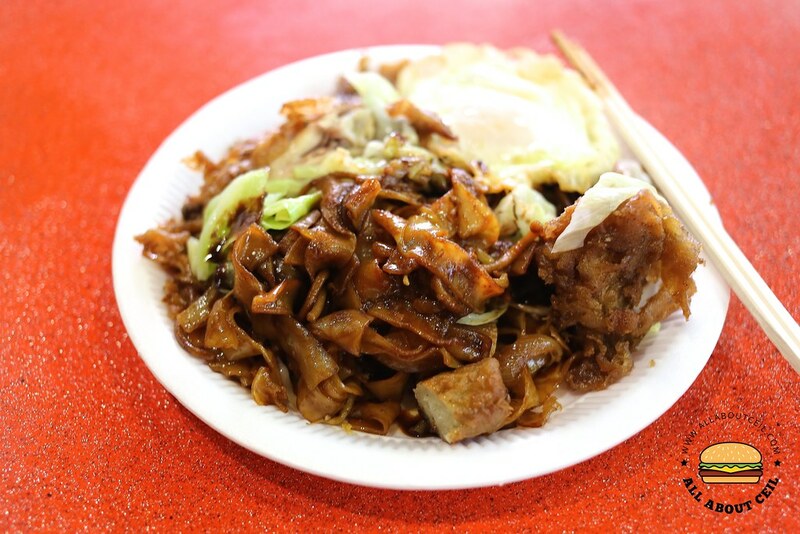 I liked the fried kway teow and fried mee, though quite simple but it was nicely cooked to just the right flavor and texture. The fried egg was done perfectly to still have a soft egg yolk. The ngor hiang tasted just normal but those stir-fried cabbage was cooked well. I did not like the fried chicken wing though, it was coated in a thick layer of batter and slightly over-fried, it ended up to be quite dry and slightly hard. It was served with chilli and the sweet sauce tasted like the type for chee cheong fun. Other than fried bee hoon, fried kway teow and fried mee, they do offer century egg porridge and chicken porridge at $1.00 and $1.50 for taking away. 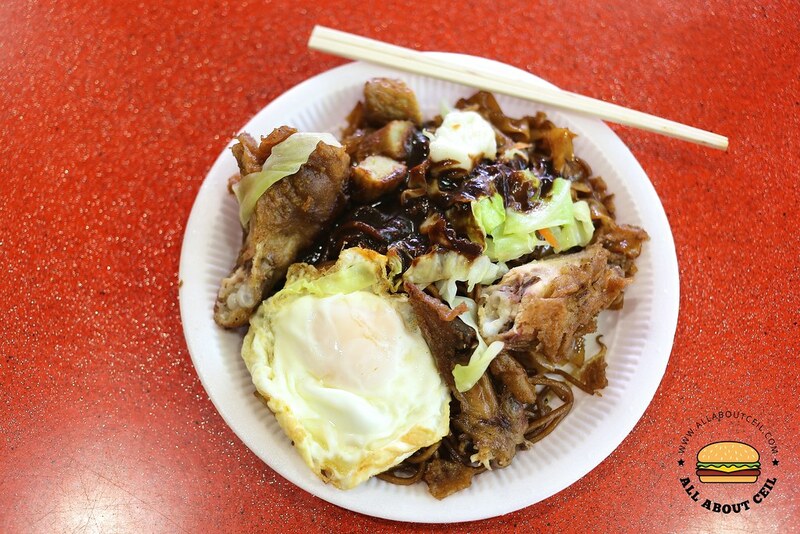 They also serve set meal at $2.60 that is including the choice of noodles with default sides like fried chicken wing, fried egg and tau kwa.